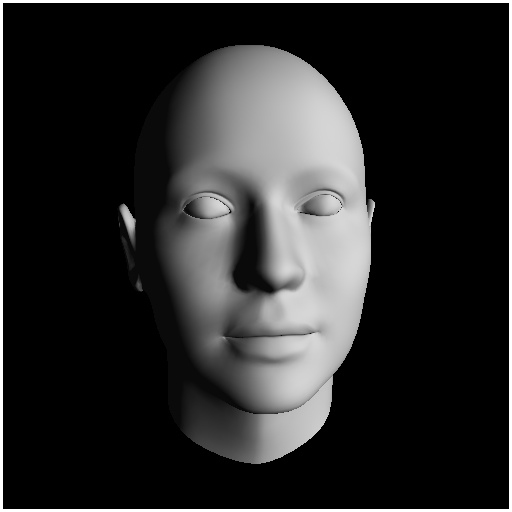 I started with given face model for this project. 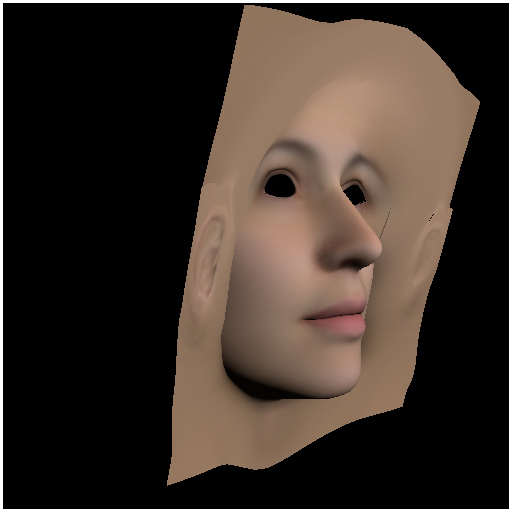 Since our model is human head, I thought that it would be nice to have something related to human face. At the very beginning, I envisoned too much or too complex stuff but converged to human face animation at the end. Project requires two vertex shaders and three fragment shaders. I made many of very tiny shaders but as time goes by... all merged into couples. In this project, I implemented human face animation with one of class approach, morph target (blend shape, relative vertex animation ...). 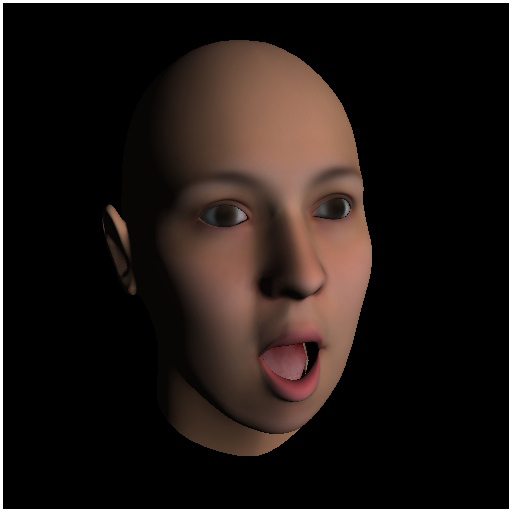 All animation features are done totally on GPU except some data pre-processing. I will explain this later one. 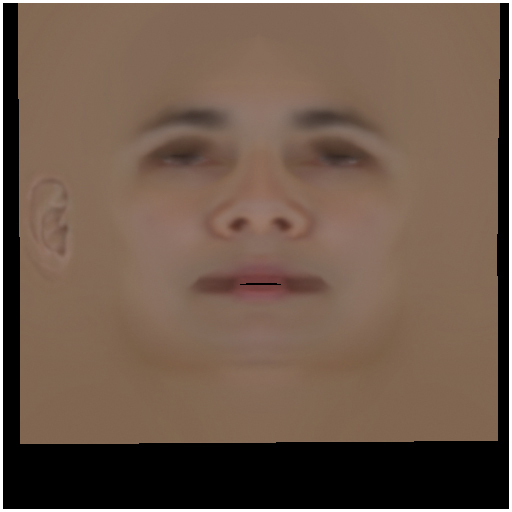 Again, this is small variation of Bob's code to embed morph target data into internal vertex buffer object. I will show more details in the following section. VBO is a big chunk of data to hold all necessary vertex data for graphics card. The neat approach of it is that it can increase GPU performance enormously by streaming it at once. Data will sit in video memory so no worry about bus bottleneck as long as those VBO fits to the capacity of video memory. Obj libray uses this very nicely. 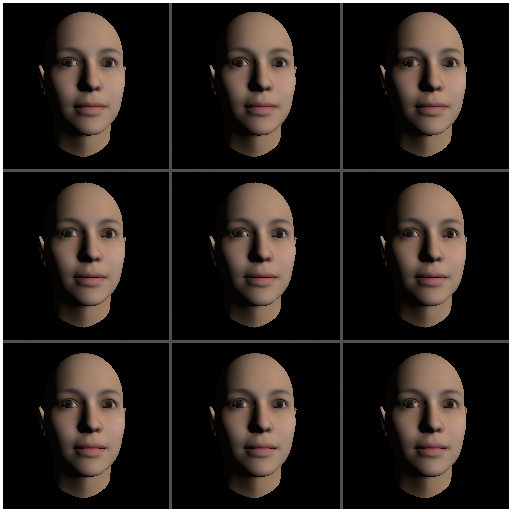 Here is the storage of such vertex data for GPU morph animaiton. There are several ways to manipulate vertex on GPU using shader. Per vertex attribute is one of the most simplest solution. It packs user defined data along with common vertex data set. 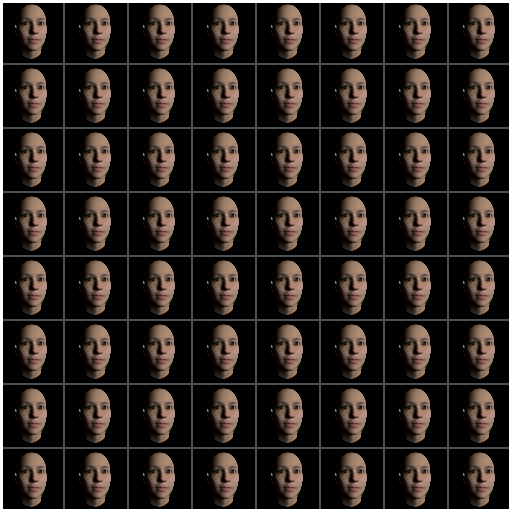 One example we studied in class is to send attribute at the time we send vertex to GPU. Improvement of my work here is to pack this lots of numbers in VBO so that we can stream it instead that CPU send it one by one. Following code snippet shows how to prepare this VBO. Shader programming for morph animation is really simple. 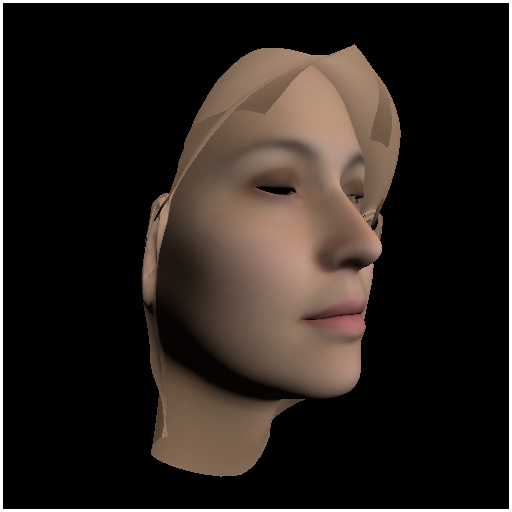 The first concept of this came from Siggraph 2003 and also published as part of GPU Gems. Originally their implementation is HLSL (Nvidia Cg). 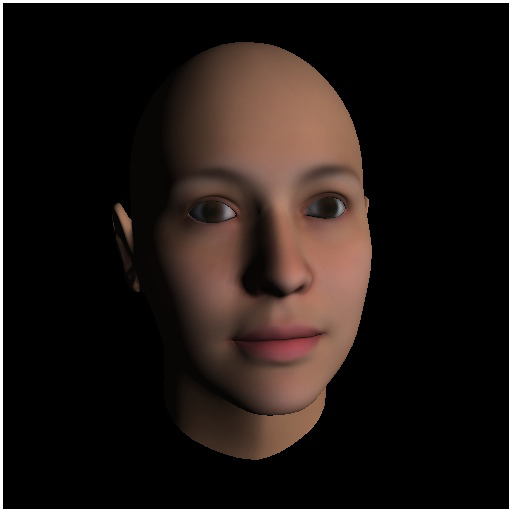 The source code is not available but it is fair enough to implement in GLSL from the scratch. 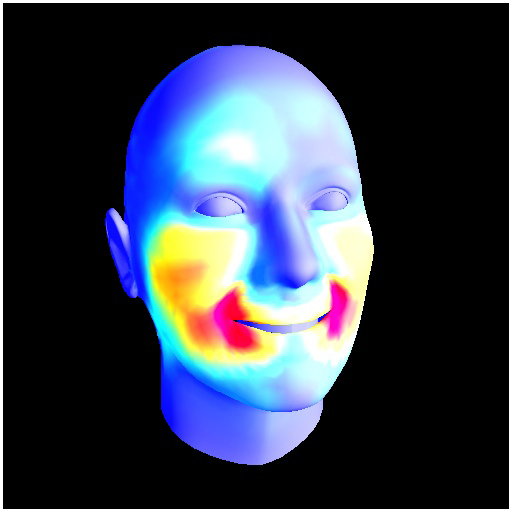 Basically morphing algorithm accumulates difference of vertex postiion from neutral to target shape based on weight on target shape. Normal is interpolated among them. 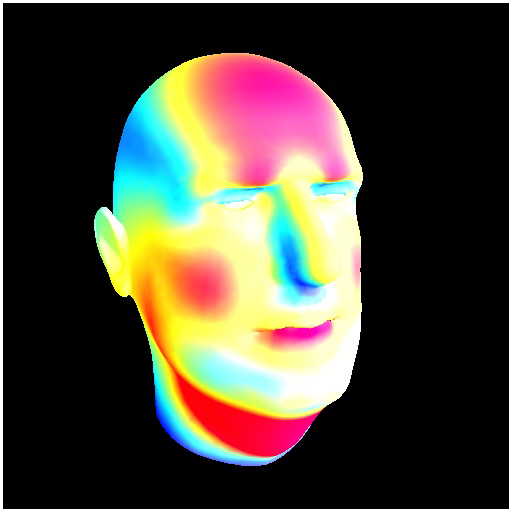 Following shows a part of vertex shader code to compute position and normal. 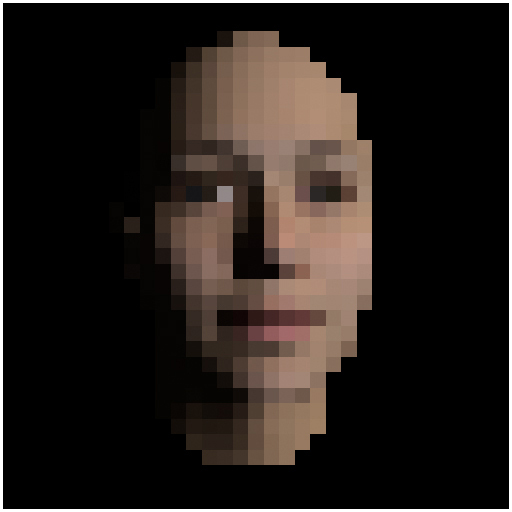 In fragment shader, per pixel lighinting and material applied. 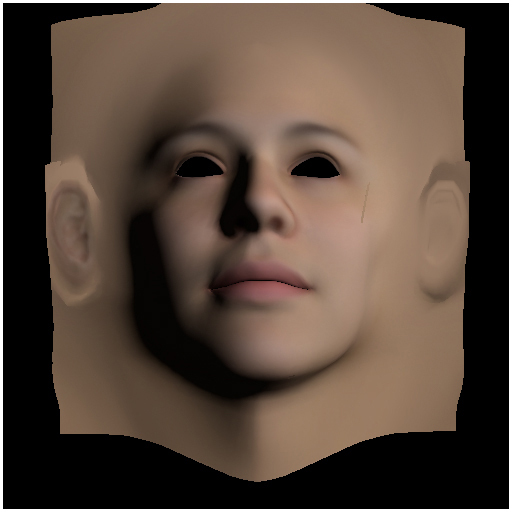 Another interesting mophing is to use texture uv coordinate to illustrate the idea of texture unwrap. 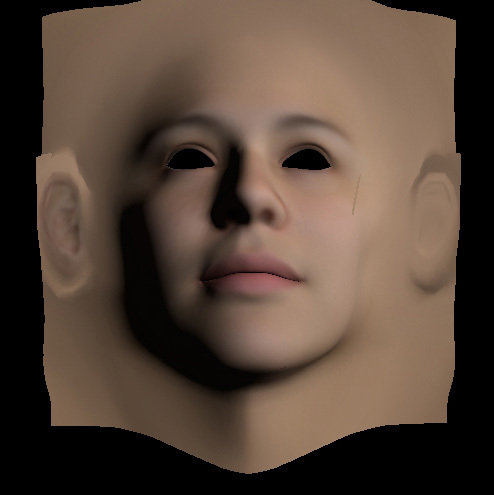 Two dimentional texture image wraps around our 3D head mesh. 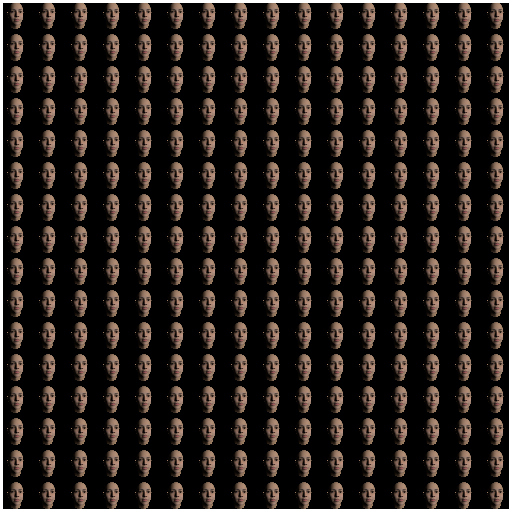 Since I know whant all number means here, this coordinate value can be customized in vertex shader. I have tested some variation of this by changing morph speed in each vertex such as linear interpolation, delayed start (kind of clipping plane look), delayed sine speed (make it a bit more dynamic). Here is the vertex shader code for this. In many cases, examples and tutorials only provide code fragment... but in real, we need lot more complex stuff. Sometimes reallly small piece causes painful debugging. 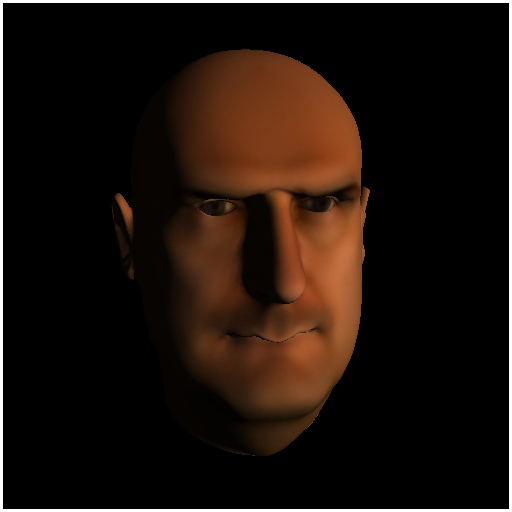 One of example I encountered is the difference of texture indexing between OpenGL and GLSL. I remember there was mention about this in class.... I did not pay that much attention to it since I used to OpenGL before... But it took quite a time to fix the bug in may app. Definitely the most amazing stuff in GPU programming is we can make something really cool with simple coding. This is soooo attractive. Event it requires lots of mathmatical consideration but... its reward is much more than the efforts. Looking forward to CUDAing!